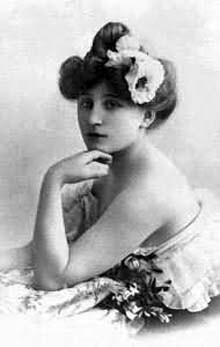 Sidonie Gabrielle Colette (28 de janeiro de 1873 - 3 de agosto de 1954) foi uma escritora francesa. - Nos compagnons parfaits n'ont jamais moins de quatre pattes. - It is wise to apply the oil of refined politeness to the mechanisms of friendship. - I love my past. I love my present. I'm not ashamed of what I've had, and I'm not sad because I have it no longer. - My true friends have always given me that supreme proof of their attachment: a spontaneous aversion to the man I loved. - You do not notice changes in what is always before you. - To a poet, silence is an acceptable response, even a flattering one. - Total absence of humor renders life impossible. - You will do foolish things, but do them with enthusiasm. "Que encantamento fazer amizade com alguém que você desprezava." - Fonte: Revista Caras, edição 679, de Novembro de 2006. "Conhecer aquilo que dele estava escondido é, para o homem, a embriaguez, a honra e a perda de si próprio". - Connaître ce qui lui était caché, c'est la griserie, l'honneur et la perte de l'homme. - Be happy. It's one way of being wise. - I believe that there are more urgent and honorable occupations than that incomparable waste of time we call suffering. - Put down everything that comes into your head and then you're a writer. But an author is one who can judge his own stuff's worth, without pity, and destroy most of it. - The woman who thinks she is intelligent demands equal rights with men. A woman who is intelligent does not. - "Well, go and see what a wonderful life I've had". ... "I only wish I'd realised it sooner"
- Ici vécut, ici mourut Colette, dont l'œuvre est une fenêtre grande ouverte sur la vie. Esta página foi editada pela última vez às 18h33min de 19 de agosto de 2016.